In late April of 2019 we will be personally escorting this magnificent river cruise on AmaWaterways. Come and experience all the wonderful treats which Holland and Belgium have to offer. Click ship image for great video. We just returned from an Alaska Cruise tour on Holland America and it was awesome. 1. Spend more time being there, instead of getting there. 2. 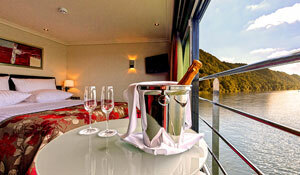 Ocean cruises take you to a country, river cruises take you through them. 3. Sodas, beer, and regional wines are all included. 4. Shore excursions included in EVERY port. 5. Higher employee to guest ratio. 6. Ability to bring on local goods and wines and enjoy them freely onboard. 7. No personal wine or liquor restrictions onboard. 8. In many ports you dock right in downtown. 9. All river cruises are not just enlightening, they are educational. 10. Specialty restaurants are included. Thanks for visiting. We are a full service agency specializing in cruises, but we also represent all those great all-inclusive resorts in the Caribbean and Escorted packages in Europe as well. View our client testimonials and our qualifications. Don't forget that we offer all the wonderful all-inclusive hotel packages to Mexico and the Caribbean as well as other packages to Europe and the South Pacific. Wouldn't you want to be here right now? Well call us, what are you waiting for? 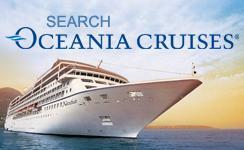 Enter your desired search criteria into the Vacation Quick Search to begin ! If you book directly with the cruise line then you are overpaying for your cruise!!! If you care about price and service then you really need to call us and read this article. Also, read our testimonials and qualifications to see what you missing out on. !!! Check out our Weekly Cruise Deals!!! Did you know we also sell all the all-inclusive resorts in the Caribbean and Mexico too?